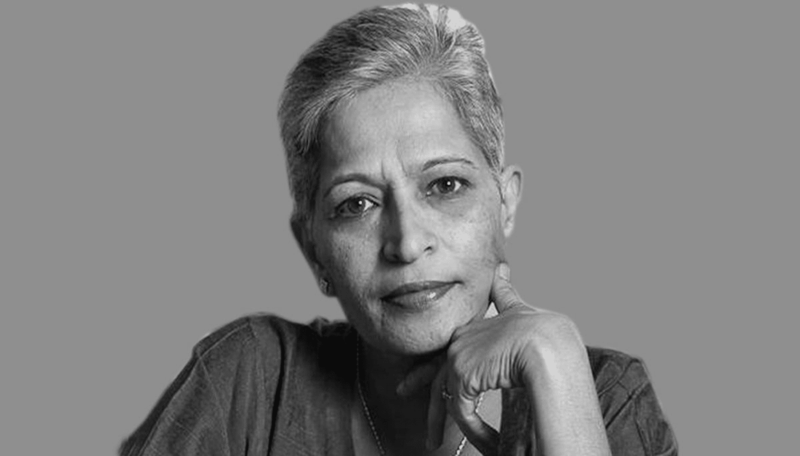 BENGALURU: The Special Investigation Team, probing journalist Gauri Lankesh’s murder case, has told the special court that Artificial Intelligence (A.I.) helped it to track Lankesh’s killers. The A.I. techniques used by the team were useful for finding the suspects. This is the first time where A.I was used in the state, for solving a case. Journalist Gauri Lankesh was shot dead by two bike-borne persons, last year, on September 5th, 2017, at her house in Rajarajeshwarinagar, in north Bengaluru. The AI has really come up as a big aid to the police, not in only India but also in other parts of the world too. It helps the cops to identify the suspects based on CCTV footage near the crime scene and description given the eyewitnesses. While recounting how it succeeded in capturing 18 suspects, including mastermind Amol Kale and killer Parashuram Ashok Waghmore, the SIT told the court that the footage showed one assailant firing shots at Gauri in the portico of her house. The footage from some CCTV systems within a 5 km radius of her house was also collected and examined for clues. Continuing further the SIT told that the AI systems were used to extract the images of suspected persons and vehicles and to compare with footage obtained by Bengaluru police from 200 terabytes of video data from CCTV cameras installed at major roads and junctions. Two police teams were made to analyze the footage from different traffic junctions, while also doing technical surveillance. Over 2,500 people were interviewed and examined, doing the probe. The field teams traced nearly 10,000 two-wheelers from all over the state, based on the clues obtained during the investigation. In the probe, it was revealed that the bike which was used for the crime, was stolen from Davanagere. The SIT said in its charge sheet that the accused 18 suspects were active members of an organized crime syndicate, formed in 2010-11, under the leadership of Dr.Virendra Tawade alias Bade Bhaisaab, and also a former editor of Sanatan Prabhat magazine, who used to provide financial aid to the syndicate.